Explore the land of the Egyptians on this wonderful 12-day trip. Start in Cairo, the country’s capital. You will then fly to Luxor where we board our ship. 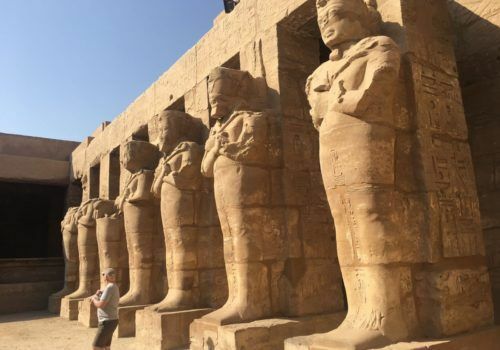 Embark on a magical cruise down the Nile, where you will visit major archaeological sites including the Karnak and Luxor Temples, the Valley of the Kings in Western Thebes, and the splendid temples of Esna, Edfu and Kom Ombo. there is plenty of time for relaxing on board and chilling with your new friends. The last two nights are spent back in Cairo in a luxury hotel. You will visit the Egyptian museum along with some iconic Pharaonic monuments. You will arrive at Cairo airport and will be transferred to Mena House Hotel. With its attractive gardens, terraces fine restaurants and views overlooking the grand pyramids at Giza, it’s a lovely place to settle into. The next morning after breakfast you will visit the pyramids Cheops, Chephren and Mycerinus, and the iconic Sphinx. You will also see the solar boat of King Chephren and enter the Valley Temple in which the mummified body of the king rested before being interred in his pyramid. In the evening, you will attend the spectacular Sound and Light performance at Giza. After checking out of your hotel, you will board a morning flight to Luxor. Once you have landed you will head to the magnificent Temple of Karnak which is the largest religious building in the world. After this, you will then proceed to the harbour where you will board the ss Karim for your 7-night cruise. Breakfast, lunch, afternoon tea and dinner is included on board. Enjoy the ever-changing scenery of palm trees, golden sand dunes and rolling hills. 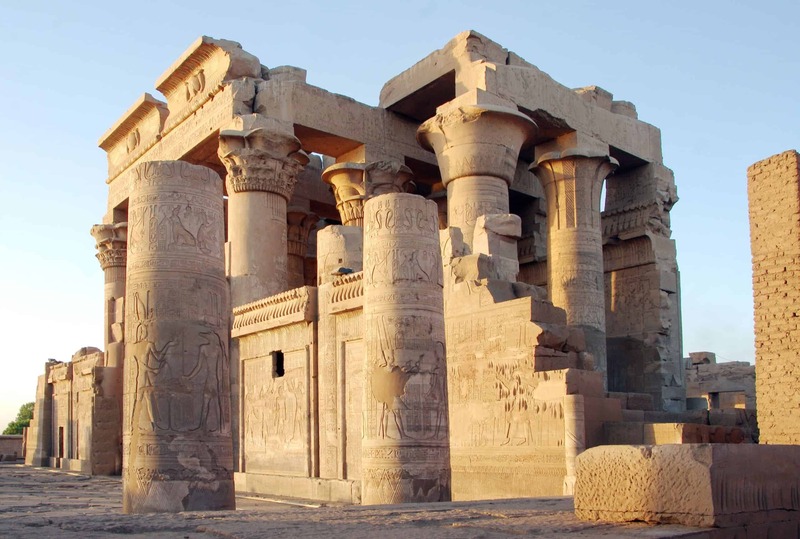 You will stop and visit the temples of Esna, Edfu, Kom Ombo and Luxor, as well as exploring the ancient city of Aswan and its Nubian heritage. Watching activity on the riverbank is also entertaining, and the cruise provides great opportunities for bird watching. Today you will board a traditional Egyptian boat called a felucca which will take you to the West Bank. hop on a camel and visit the abandoned 6th Century Coptic monastery of Saint Simeon. Situated in the hilltops which overlook the stunning golden desert. You will then proceed to the Aswan Botanic Garden on Kitchener Island. Around sunset, we will take a small boat across the reservoir created by the Old Aswan Dam to the temple island of Philae, where we will watch the ancient history of the region come alive in a Sound & Light Show. After the show, we return to the ss Karim for another night docked at Aswan. 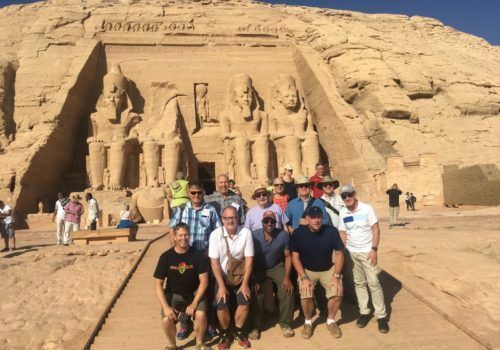 Today you have the option to join a tour of Abu Simbel, or to explore Aswan’s bazaar at your own leisure. The tour includes a 30-minute flight along with a guided tour to view the rock tombs. After returning from Abu Simbel, those on the excursion will visit the Aswan High Dam. We will also see the unfinished obelisk, whose workers carved out a huge slab of rock, but stopped suddenly, leaving it jutting out from the quarry. In the afternoon you will head back towards Luxor enjoying the amenities of the ship, including afternoon tea on the deck as you watch the ever-changing life on the river bank. We spend tonight docked at Kom Ombo. The majority of the day will be sailing along the river. You will pass many Sugarcane farms as the plant thrives in the nutrient-rich soil. There may be options for you to take a stroll through a local Egyptian market. Late in the day we pass back through the Esna lock and arrive in Luxor, where our ship will anchor for two nights. Today is a busy day, filled with lots of sightseeing! You will start at the Tombs of the Nobles. 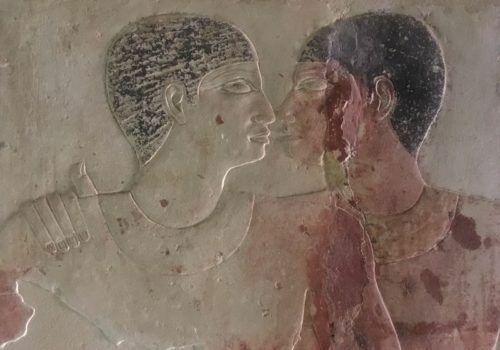 Notice how the walls are decorated with beautiful paintings depicting everyday life in Egypt 3000 years ago. You will head to the Valley of the Kings, where we inspect several of the tombs, including that of Tutankhamun. Enjoy a traditional Egyptian lunch today which will be followed by a trip to the Ramesseum. Late afternoon you will be driven back to Luxor to visit the Luxor Temple. Today you will depart the ship and will be transferred to the airport where you will catch your flight to Cairo where you’ll stay. Today you will enjoy a tour of Cairo. Starting with a visit to alabaster Mohammed Ali Mosque on the Citadel followed by a trip to Gayer-Anderson House, the former home of Great Britain’s last pasha which was used as a film set for the James Bond movie The Spy Who Loved Me. In the afternoon you will tour the Egyptian Museum where you find the fabulous jewels of King Tutankhamun. Enjoy a farewell dinner with the new friends you’ve made, already dreaming about your next trip!